We are celebrating our one year anniversary and would love nothing more than to celebrate it with everyone! 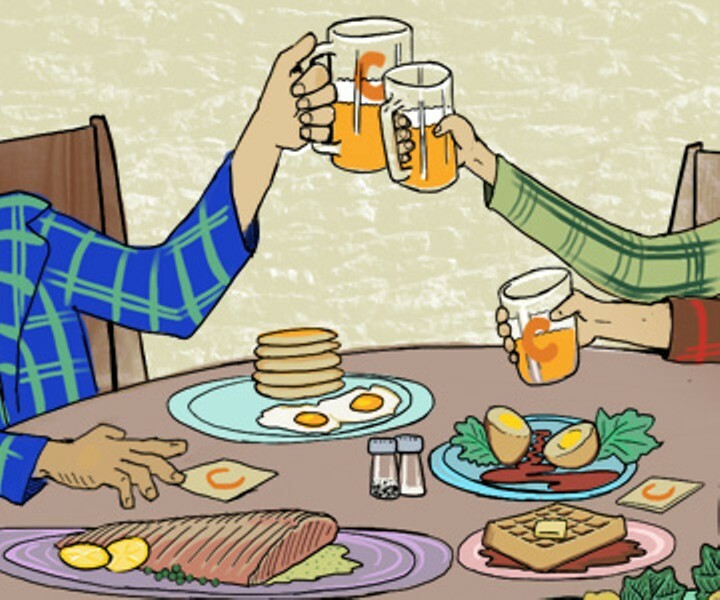 A night full of great beer, all-you-can-eat breakfast, and everyone in their pajamas. We are doing a special two can release too (Blazing Crude and our new Tartshake) for ticketholders only! Each ticket includes: two four packs of the new beers, an anniversary glass, 4 beer drink tickets, all-you-can-eat breakfast, and more!